Rivet shelving isn’t the most stylish type of shelving, but it certainly is practical. Single rivet shelving is a good medium-duty type of shelving, holding between 250 and 350 pounds per shelf, so it’s good for helping to keep back rooms and supply rooms in order. If you need to store a lot of small items or parts, single rivet shelving allow you to have many shelves for you to set bins on to keep parts separated and organized. Double rivet shelving is also excellent for storing archives of files, paperwork, and other records. 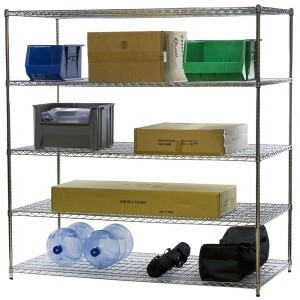 Our record storage solutions offer high density storage and great durability. If your office has an exceptionally large amount of files and records to store, you might want to consider a mobile aisle shelving system for your record storage needs. Steel clip shelving units are more durable than single rivet shelving; capable of holding between 500 and 850 pounds per shelf. 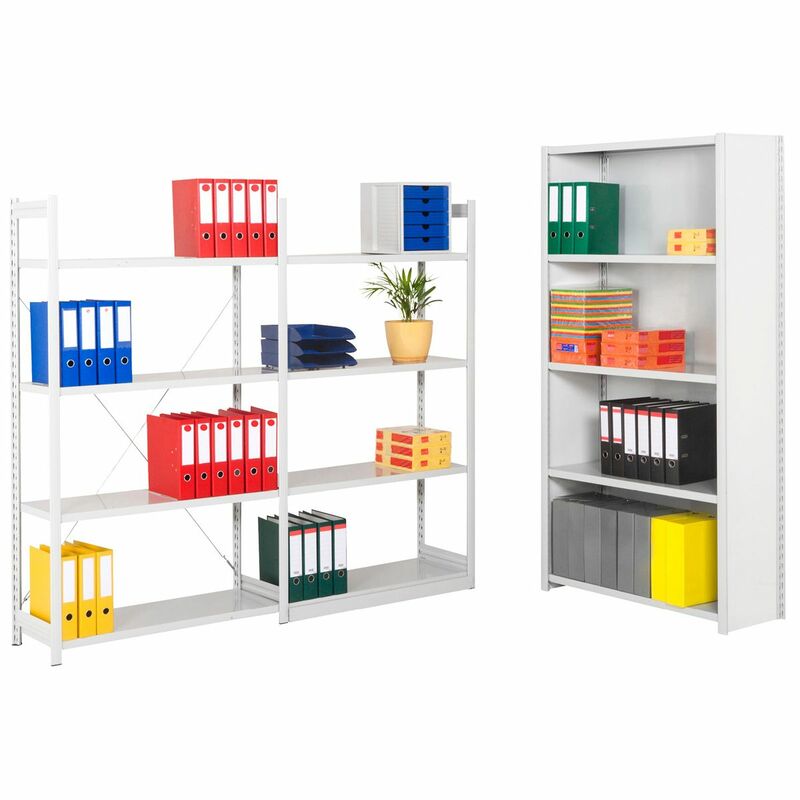 Open style steel clip shelving units are excellent to use in back rooms or storage areas where it isn’t as important for shelving to be attractive. If there are things that need to be stored with added security, closed steel clip shelving units have the option of having a door with a lock added to them. Wire shelving is such a wonderfully versatile type of shelving, you’ll have no problem finding ways to use it in your office. 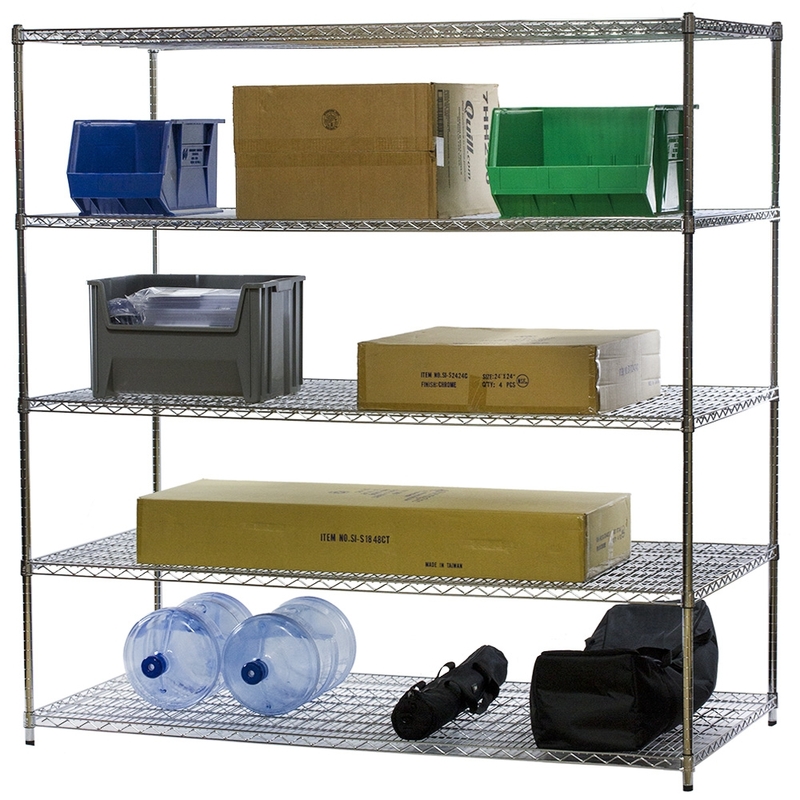 Whether you want a 5-shelf unit or a lone 8 inch by 8 inch wire shelf, our wire shelving can hold up to 800 pounds per shelf, making it strong enough to store things in storage rooms or supply closets with absolutely no problems.